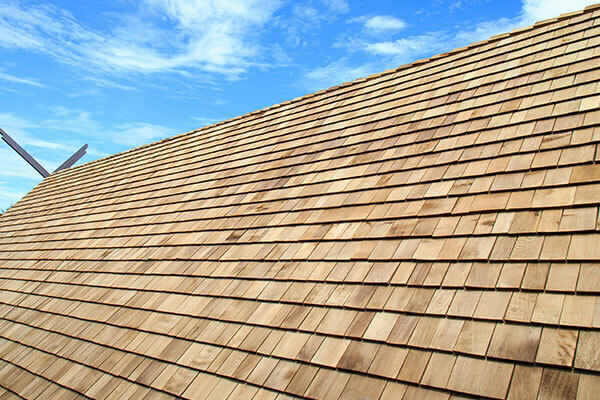 Wood Shingle Roofing - San Diego Roofing Inc.
Wood shingles are thin, tapered pieces of wood. Historically, wood shingles were split from straight grained, “bolts” of wood, creating what is known as a “shake.” Wood shingles are cut instead of split. Traditional wood roofing such as cedar shakes and pine shakes can also be replicated with synthetic, man-made wood shakes – these are much safer in terms of fire prevention and much more versatile when it comes to selecting a color (especially if you don’t want the color to fade with exposure to the sun). At San Diego Roofing, we are an experienced roofing company with over 75 years of experience installing wood shake and wood shingle roofing. We can help you select the best real wood shakes or synthetic wood shake shingles to suit your budget, visual, and environmental needs. Already have a wood shingle roof and just need repairs or maintenance – no worries, we are here to help! Contact us today for all of your San Diego wood shingle roofing needs!